POS software knowledge base updates help small business retailers | A blog about smart POS software for independent small businesses. 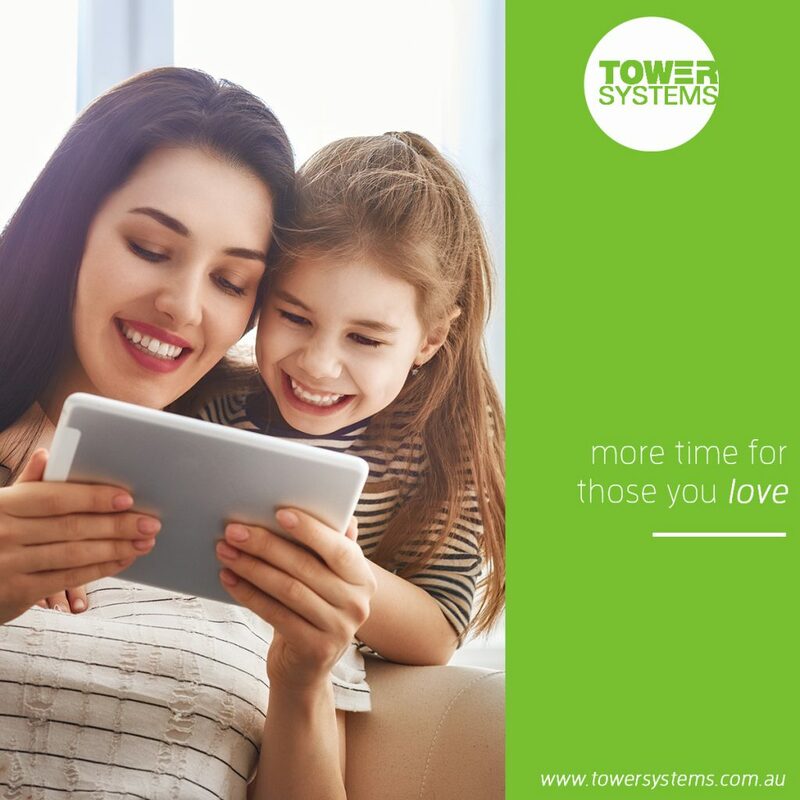 Tower Systems announces each week to its customers the enhancements to advice provided on its 24/7 accessible knowledge base. Every week there are new articles and updated articles, helping our customers to top into advice and resources they need as and when they want. With many hundreds of articles, all searchable by keywords, our customers have access to peer-reviewed step by step guides into using the software, to help provide better outcomes. Revising the advice and providing access to this is part of everyday customer service here at Tower Systems. Our customers suggest new topics we cover and these suggestions result in new or revised advice published on our knowledge base. We are grateful to our customers for their in-the-field advice on what they would like to know. We have just been advised that our software has passed acceptance testing for the new Payment Express integration for our New Zealand used POS software. We have had integration with previous versions of this gateway but with their latest changes needed to pass compliance again. That we have done this well ahead of the October cutover in NZ is a testament to our development and testing teams. This offers peace of mind to our NZ customers. We received an alert early this morning about a major Telstra network outage and to expect help desk call traffic to spike as a result. Here we are more than half way through the day and we have not received a single call. We did proactively share with our customers steps to take to ensure they were not affected. That appears to have helped. Yesterday, Tower Systems hosted a major workshop on how to leverage special customer orders in our POS software to help any retail business grow revenue and increase customer stickiness. If you have an order book at the counter or in the office, for orders that are too messy or cumbersome to put through your software, Special Customer Orders in the Tower Systems POS software could be ideal. If you or staff are forgetting to track special orders when they come in or are challenged advising customers when special orders are read to be collected, this software can make the whole process hassle-free for you. We can help you win more business. We make it easy for every employee to handle special customer orders with consistency, even casual employees. Developed in close consultation with retailers in the jeweller, bike retail, produce, toy and garden centre retail channels, the Special Customer Orders facility in the Tower Systems POS software is powerful, flexible and enjoyable. See it live in this free online workshop. We will demonstrate the software to you, take questions and share user insights. The demonstration will take only half an hour. We are sure you will be surprised how fare this function in the Tower software goes. We are grateful to all our customers who participated. It was a full session with more than twenty participating, learning, for free. This session is another in our regular series of free learning opportunities for our POS software companies. Social customer orders functionality is unique to Tower Systems. What we have developed is deep and comprehensive, created based on the needs shown to us by our customers in various retail channels. We build the facilities from scratch, based on the customer outlined requirements. We are grateful to our customers for supporting this training session, and, indeed, all of our free online training workshops. We develop software and websites for: gift shops, jewellers, bike shops, toy shops, fishing/outdoors businesses, garden centres/nurseries, pet shops, produce stores, firearms businesses and newsagents. 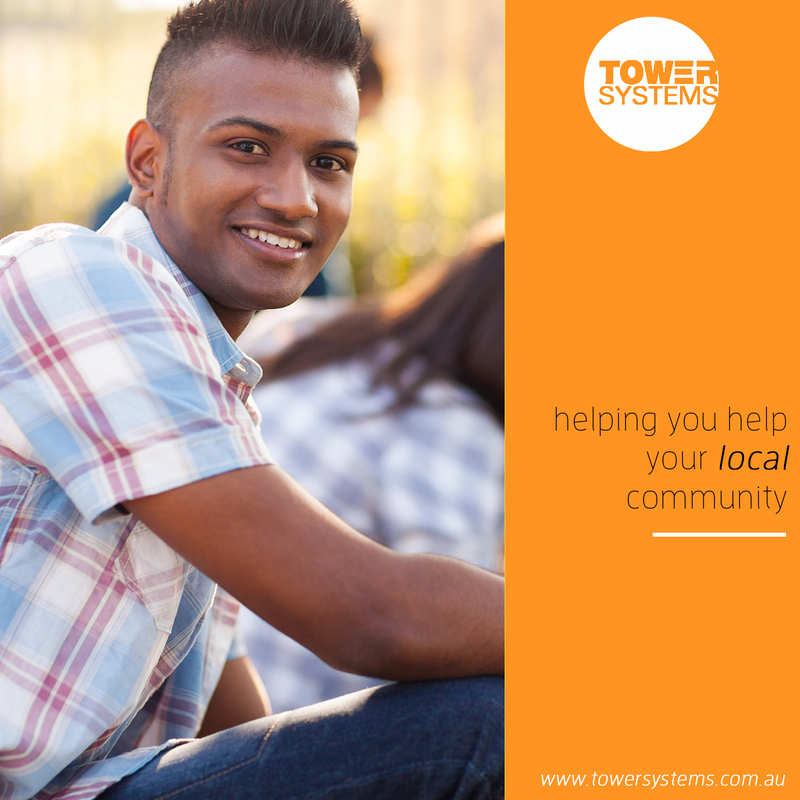 Here at Tower Systems we are proud our POS software has facilities through which you can better connect with and help your local community. Tower Systems has been engaged with representatives of a federal government agency as it contemplates new legislation that could impact some areas of retail business operation in which our POS software serves. We have been engaged in discussions, sharing insights and explaining how parts of our software work, so those drafting the legislation can be better informed about the practicalities in retail business operation. This work with government departments is not new for us. We have been engaged previously in other areas of business operating, helping to inform legislators to their focus remains on a path appropriate to the needs of the small business retail community. Our first engagement helping government regulators was mack in the early 1990s when several arms of government were investigating fraud facilitated by the use of POS software developed to make such fraud easy. While our software never had such facilities, we were aware of software that did. 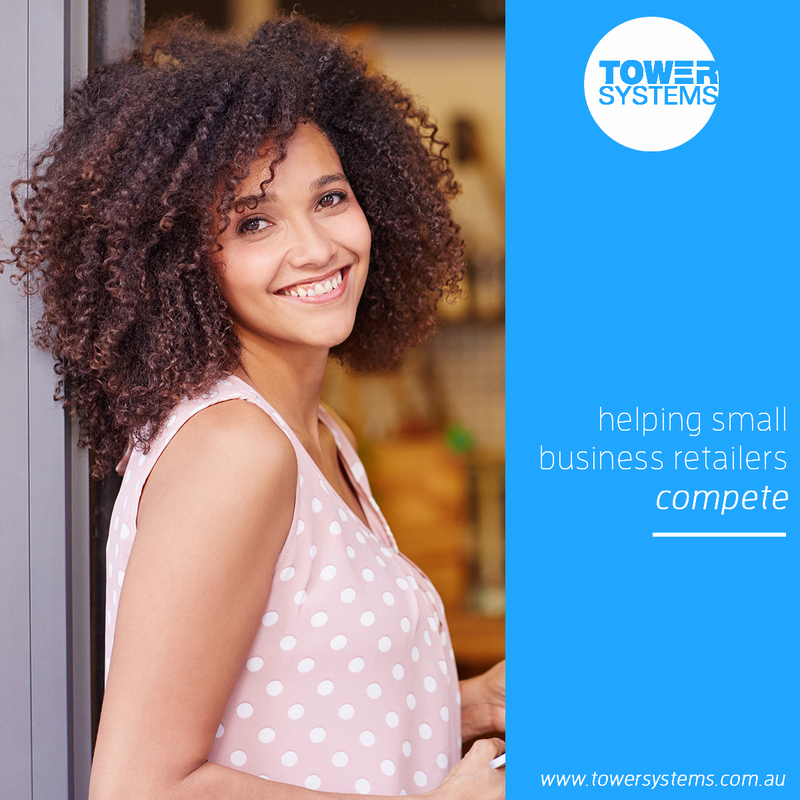 We are proud to help small business retailers with competition winning POS software. The syncing of stock on hand data between physical shops and websites is key to successful online selling. Given that the most significant use of websites is to see what stock its available in-store, accurate stock on hand data is a core factor in driving online sales. 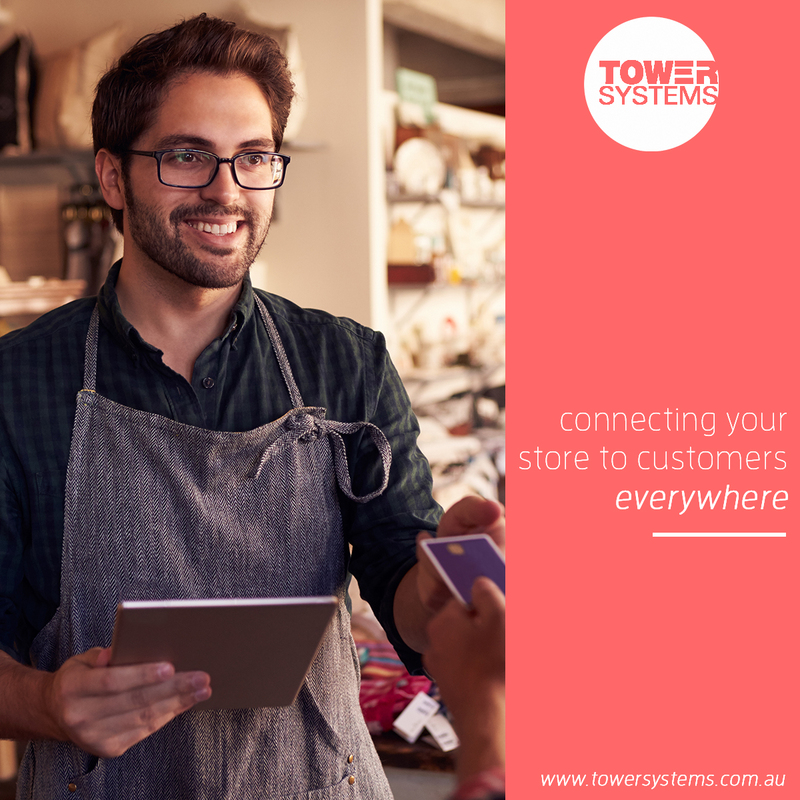 Retailers using our Tower Systems POS software and one of our various webstore link facilities can determine the best timing for data synch between the physical and online store. The frequency of any such synch is determined by the type of products being sold. We have customers who prefer to synch every five minutes through to customers who synch daily, and all manner in between. We work with our customers to understand product sale frequency and then provide advice based on this and our own experience working with many successful POS software / webstore integrations across a range of retail channels. The way we do the synch is fast and accurate, of little drain on the retail business and the internet connection. Given our experience in this space and the value of experience in many different businesses, we are not get four of such synching. Our approach is best-practice, fast, accurate and loved by shoppers and retailers. Getting this synching process is right for small business retailers who want to sell with confidence online. Shoppers who purchase online only to be told sorry that item is out of stock get frustrated as they bought wanting the product.l The requirement for accurate stock on hand data on websites is critical. A good website will not only show products that are currently available, they will go further and show the actual quantity on hand of every item. While this can benefit a competitor targeting a business, in most cases the customers love it and gain confidence in a business as a result of this. As POS software developers and website developers Tower Systems is skilled on both sides of the tech solution. We are able to demonstrate local retail business connected POS software that is discovering new shoppers for local businesses. The win is valuable, bankable. It all starts with a fast and accurate synch between the POS software and the website. It is Saturday morning, a busy days for local retail businesses. Too often while local shops are open, businesses that support local businesses are closed. Our POS software help desk is open. On our after hours mobile phone and, importantly, in the office where the full set of help resources are available. This enables us to do more, rather than asking retailers to wait until Monday. We take Saturday support seriously for our small business retail customers. hence the office based support on days like today. Customer service matters at Tower Systems. Can I handle catalogues in the software? Can I handle multi-buy in the software? Yes. We can track your customers and once they have bought enough, according to your rules, they get the discount or free product you set. Can I bundle items like into a hamper or pack like rods and reels? Can I link with an e-commerce platform to easily sell online? Yes, we link with Shopify, Magento & Woo Commerce e-commerce platforms. You choose. You also have control over what items you sell online and can easily import pictures of stock items, saving you days / weeks of work. Stock on hand figures update in minutes, meaning out of stock is handled with certainty. You can’t sell what you don’t have. Yes we do. This is the best outcome for connecting to our software as the one company is involved and responsible. I have a website, how easy is it to connect? It is usually easy. If you want it connected to your Tower software you will need to ensure the right people know what you expect of them and be prepared to pay for this work. Fresh Marketing from our talented in-house team here at our POS software company Tower Systems. Tower Systems features in the latest issue of Xu magazine, the international magazine for Xero users and consultants and the wider Xero community. 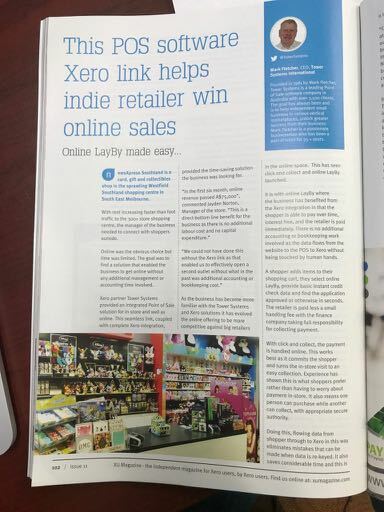 The article resulted from kudos for our work in the POS software / Xero integrated space for many small business retailers. Our work helps retailers cut the time spent on entry of data as it eliminates steps in the process. This improves accuracy and costs of the business. We are grateful to our many POS software / Xero customers for their support and encouragement on the continued evolution of our direct to Xero interface. We are also grateful to the folks at Xero for their advice and counsel. The article, which has just been published, is timely as it leads into the Xero Xerocon conference in Melbourne next month, where Tower Systems will feature its latest POS software. 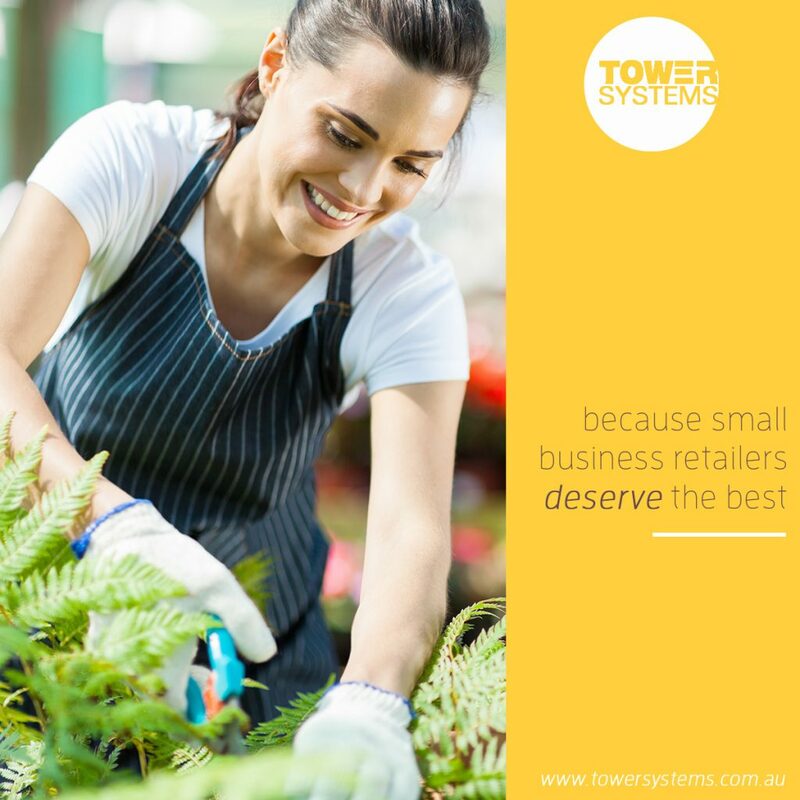 Tower Systems offers retailers considering POS software a personal visit to assess the needs of the business, to understand if our software is right for the business. Doing this on the phone may not be ideal. Doing it by email is nonsense. As a company dedicated to personal in-store service, we start the relationship off right with a personal visit to see iff we are right for you. This visit is often the beginning of a long and personal relationship;ationshiup with our customers. Retail is personal. So is POS software for local retail businesses. Get your needs right and match these with then right software and you are better positioned to achieve great outcomes for the business. Here at Tower Systems we are committed to personal service. Little advice has been provided to small business retailers on what is needed to compete in this ever evolving online-focussed world. At this workshop we will share insights from the various retail store connected websites that were run. We will show when, hope and why people shop. We will take you under the hood, back to what they search Google for. 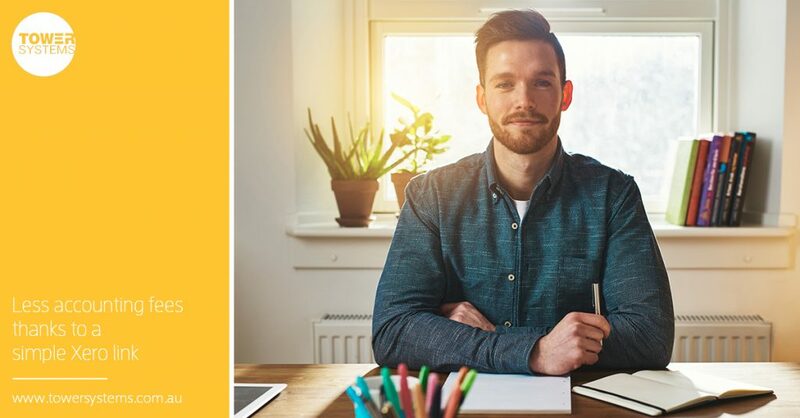 We will explain steps you can take in your business to win business that Amazon sellers m might otherwise try and win from you. We will show how you can get online in any type of business, without breaking the bank and without needing your own tech employee. Plus, we will answer every question you have. Without obligation. Book now. These workshops are free. All welcome. August 24, 8am. Figtree Conference Centre: Mission Room, 5 Figtree Drive, Sydney Olympic Park NSW. August 24, 11am. Figtree Conference Centre: Mission Room, 5 Figtree Drive, Sydney Olympic Park NSW. We will demonstrate live websites that are connected to our small business POS software in local businesses. we will also show how to transfer stock to a website and how to manage images. We will answer all your website related questions. Bookings are essential. If you have questions, please call our Sydney Account Manager, Nathan Morrison on 0417 568 148. In addition to our after hours POS software support, for many years we have offered Saturday support. This is office based support delivered by folks expert in our POS software. 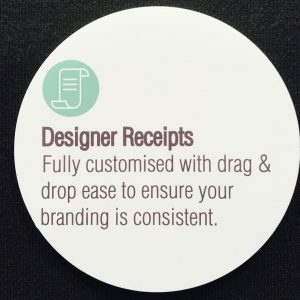 Small business retailers are loving our designer receipts. They love the ease of change. They love the beautiful outcome. They love the flexibility. We think receipts should help a retail business win more sales. Ours do … thanks to you being able to create what ou want, how you want. 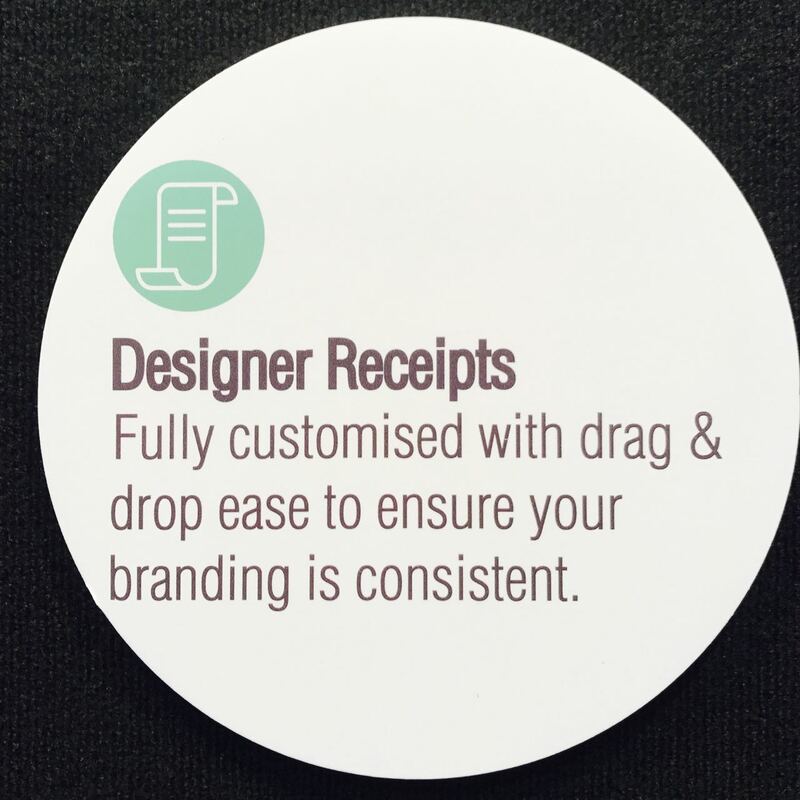 Tower Systems offers designer receipts as part of its comprehensive POS software and through these we offer a beautiful point of difference. They are another Tower AdvantageTM. For too long receipts have been seen as a necessary accounting function in retail businesses. designer receipts are different. They are an extension of marketing in any business. They are smart, appealing, elegant – a wonderful way to help grow the business. While other POS software companies may say they allow you to customise receipts, none has the Tower Systems designer receipts facilities. Does your POS software have a mandatory weekly, monthly or annual fee? We are welcoming another customer this week who is switching from another POS company because they were told, when they purchased the system several years ago, that there would never be a mandatory support fee. Despite the promise, they have been hit with ever an increasing mandatory software support fee. This year, the fee approached $4,000. The company has never responded to their complaint. It was only through a chance meeting with another business owner that they released they could switch software companies and not have a mandatory software support fee. Tower Systems does not have a mandatory software support fee. Customers can continue to run the software if they are not covered by support. This has always been the case with us. Any time a POS software sales rep makes a claim on which you rely, get it in writing on their letterhead with a person in authority signing. It is the only way. While we are thrilled to welcome another customer, it is disappointing for them they have had such a bad experience. Our customers are telling u they love that they can see our POS software help desk call traffic data live at our web site. We show the current active call number along with the number of calls closed in the data. The data is updated every fifteen minutes. Transparency equals a clear commitment to customer service. That is why we have made the necessary changes to our internal call tracking system to provide easy access to current data. A common complaint we hear about POS software companies is poor customer service. Good service starts with showing our busy thou are. This can fluctuate through the day – the live shows this and can therefore help customers to consider alternative sources of answers. We are grateful to our customers for the feedback they have provided on this initiative. Developed in Australia for local jeweller needs, our jeweller software is packed with specialist facilities for specialist jewellers. Check out this tech-focussed video we created that highlights some of our specialisation.